When building electronic hardware prototypes, one major source of frustration for circuit designers is the difference in chip package sizes, even when they are identically named. Each integrated-circuit manufacturer usually has slightly different specifications for their version of SO-8, TSSOP-20, QFN32, LQFP-64, and so on. 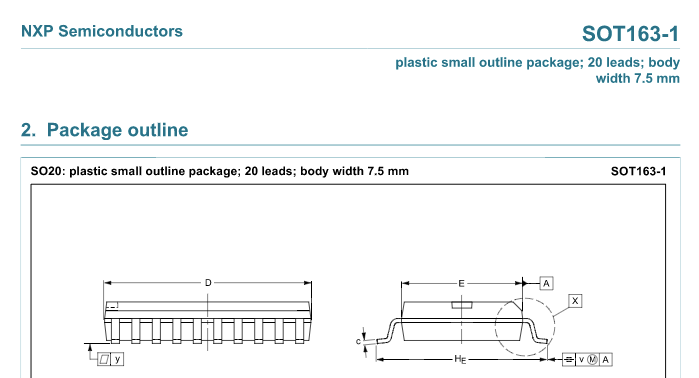 To get some clarity on the topic, and to see how each manufacturer’s dimensions could differ, I compiled together a bunch of excerpts from various publicly-available packaging datasheets. So without further ado, please find the results of the survey at this Github repo, and please feel to either comment here or in the issues there if you have any suggestions. Pull requests are also always welcome.